Altigen develops a comprehensive set of integrated applications designed to extend and enhance the call routing and queuing capabilities of Skype for Business. 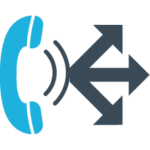 Available with our Hosted Skype for Business platform as well as for on premises Skype for Business customers, our applications address the full spectrum of enterprise routing and queuing requirements, from simple workgroup call routing and queuing to complete, enterprise multi-channel contact center. As a long time Microsoft solutions developer, Altigen’s applications eliminate the need for expensive, proprietary contact center systems and applications. Instead our software solutions have been designed to enable simplified, rapid deployment with much lower ongoing operating and support costs compared to traditional contact center systems. Designed for “formal” enterprise contact centers when agents must respond to inbound call and/or chat requests on a full time basis. 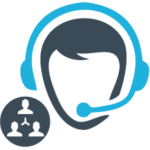 MaxACD includes Rules-based Automatic Call and Web Chat Routing and Queuing, Agent and Supervisor applications, Real-time and Historical Reporting and Automated Call Recording. Designed for “informal” contact centers, such as sales workgroups, HR service centers and IT help desks. MaxGroups uses a simplified set of call routing rules to quickly route calls to the right people or departments, with full call tracking and reporting – without the expense and overhead of traditional contact center solutions. A complete web chat routing and queuing solution. 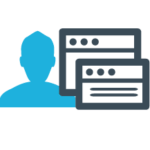 Easily engage your web site visitors with online chats, interact with social media messaging platforms and respond to SMS requests. Our intuitive application puts everything right at your agent’s fingertips, and includes a complete, easy-to-use management console. 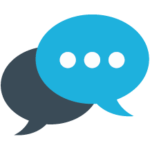 Leverages Microsoft’s Cognitive Services to deliver customizable chat bots which provide predefined answers to common inquiries, and can intelligently route chats to agents or specific departments. Once set up, MaxBot has the unique ability to act as your 24/7 chat agent, helping your website show an online chat option at all times. Enables companies to maximize customer service capabilities while reducing costs. A fully customizable application, Virtual Expert connects customers to designated subject matter experts regardless of their physical location. With Virtual Expert your customers can collaborate via video, share documents, and complete online applications, easily and securely. 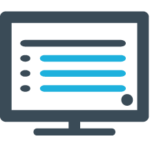 All of our integrated applications are fully supported 24 x7, can be deployed by our Certified Partners or by Altigen, and include training. We also provide application development and customization services for customers having unique, company specific requirements.